Kusum Gokarn, 77, shifted into a society built specially for senior citizens in 2006. After her husband passed away in 2010, she now lives alone in a two-BHK 'independent living' flat. On days when she doesn't wish to cook, she informs the society mess, which provides food at subsidised rates. After she completes her household chores, she spends time at the library and, occasionally, visits a physiotherapist who pays regular visits to the housing society. The society also provides housekeeping services. Gokarn is happy with the arrangement -- she has people of her age to interact with and manages to keep herself busy, as such housing projects offer facilities such as auditoriums, theatres, spacious gardens and yoga centres. Other services include flats with anti-skid flooring and washrooms with grab bars and spacious lifts to accommodate wheelchairs/stretchers. Currently, there are about 30 'senior living' projects in India, with Pune, Bengaluru, Chennai and Coimbatore accounting for the majority of these. The sizes of the houses in the projects vary from 500-sq-ft studio apartments to 2,500-sq-ft three-BHK flats and villas. 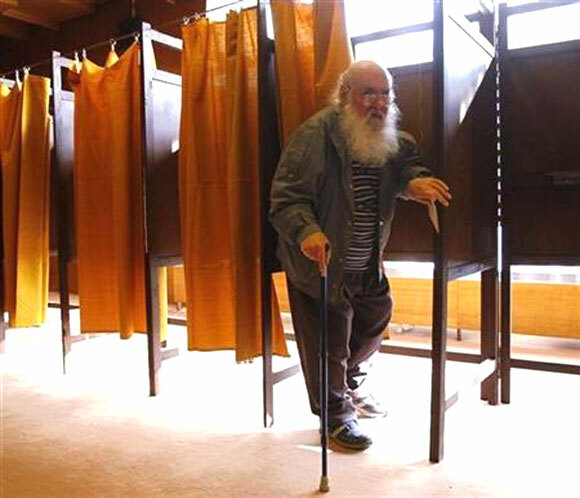 Independent -- These are targeted towards healthy senior citizens who can manage on their own. Assisted living -- As the name suggests, these are meant for ones who need either/both medical and physical care. Palliative care -- For ones with debilitating illnesses. At present, builders are providing only the first two options. 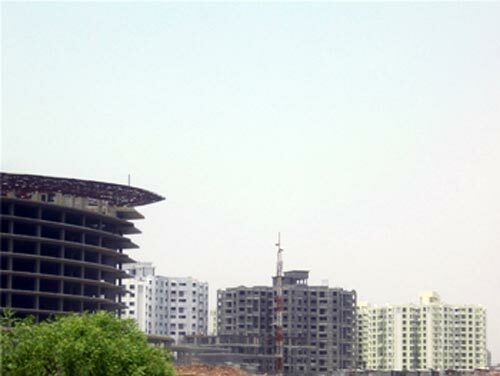 Image: Housing around EM ByPass, Kolkata. Among the extended facilities that some offer are tie-ups with hospitals and medical centres and free medical campaigns or workshops. As it is difficult for senior citizens to avail of home loans, builders offer two to three financial models. "Under independent living, builders such as Covai, Ashiana, Brigade Serenity and Paranjape offer three models to choose from -- outright buys, deposit model and lifetime lease. "Each has its pros and cons. "The choice would depend on factors such as financial strength, long-term objectives and the degree of flexibility you desire," says B Sridhar, national director, strategic business unit (education, healthcare & senior living) at Jones Lang LaSalle India. Outright sale: Depending on the size and facilities offered, the cost of a flat is between Rs 30 lakh (Rs 3 million) and Rs 1 crore (Rs 10 million). If you have the financial resources, this is the best option. "Senior citizens whose children are away could sell their existing house and move into these assisted flats, where they could get extra services," says Sadagopan of Ladder7 Financial Advisory Services. After you own such a flat, you have to pay a monthly maintenance charge, as well as other charges on actuals. 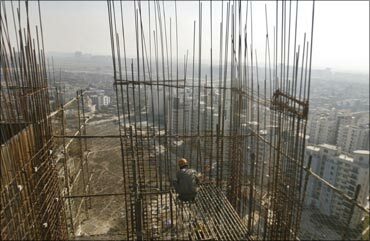 Some builders charge a maintenance fee of Rs 3.25-5.5 per sq ft, depending on the size of the flat. For a 1,000-sq-ft flat, this works out to Rs 3,250-5,500. 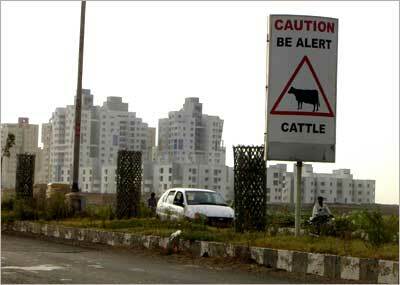 Image: Housing complexes under construction in Pune. The Golden Nest project in Pune charges a lump sum from a buyer, adds it in the deposit created and doesn't charge any extra maintenance over and above this amount. Gokarn says she only has to pay for medical aid, electricity, telephone, taxes, etc. Units in retirement projects are only sold to customers more than 50-55 years old. 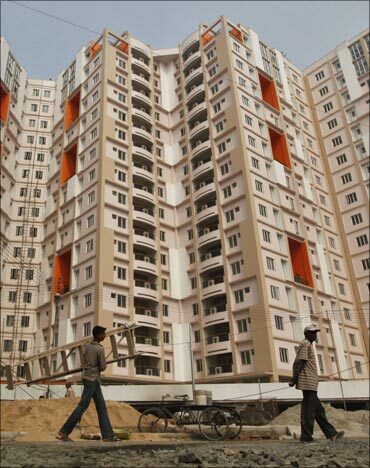 However, children of senior citizens can also buy such flats for their parents. The Golden Nest project doesn't allow senior citizens' children to stay with their parents for more than three months. For a fee of Rs 1,500 a day, separate guest rooms are provided. Ideally, a senior citizen with children should opt for a flat that allows the children, as well as the extended family, to stay with him/her. Ram Sangapure, general manager at Syndicate Bank, recently said the bank had introduced a loan product with a reverse mortgage option. The plan is targeted primarily at senior citizens, to help them buy apartments in assisted-living projects. "While the interest rates are the same as any other home loan, the borrower has to repay this loan before he/she is 70," he says. If the borrower is retired, whether or not he/she gets the loan would depend on his/her retirement kitty. However, if the senior citizen is working, his income and repaying capacity (post-retirement) is taken into consideration. Pros: Since you own the property, there are multiple options. You could live in the house or rent it if you so desire. You could even bequeath it to heirs. The property could even have investment value. Cons: You might not be able to sell the house before a certain number of years, as some developers don't allow first-time buyers to sell the property during the first three to four years. Deposit model: This model, also called the pay-back scheme, is popular among senior citizens. Here, a senior citizen pays a one-time upfront deposit and monthly fees as maintenance. "The builder charges an upfront deposit amount, usually 60-70 per cent of the sale value of the flat. "The value of the house is determined by the size of the unit and includes residence charges alone," says Sridhar. For instance, if a house costs Rs 30 lakh (Rs 3 million), the potential buyer would be expected to pay Rs 18 lakh or Rs 1.8 million (60 per cent of Rs 30 lakh) as a one-time deposit, as well as monthly maintenance charges, as he would be living in the flat. While he wouldn't be charged a monthly rent, he would have to pay the actuals on food, housekeeping, etc. 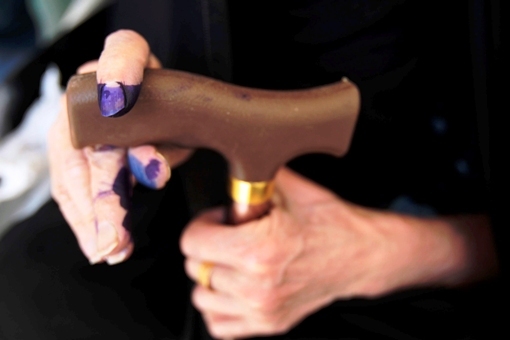 Image: An old woman with ink-stained fingers holds a walking stick. Pros: The lease model is best suited for someone who has a lump sum he/she can part with but not enough to buy the flat outright. One doesn't have to worry about a rise in the rent, as he is not liable to pay it. Additionally, the lease model allows you to shift from the property if you so choose, without the hassles of finding a buyer and finalising a sale. Cons: Though this entitles you to live in the property permanently, you don't own it. You might not even be allowed to rent it for a period during which you aren't using the property. With a lump sum payment, your funds are blocked, and you lose the returns you could have earned from other investment avenues. A part of the deposit is non-refundable, with some deductions on administration/cancellation charges on account of death, cancellation, etc. Also, some builders might have a clause to return the deposit only after finding another occupant. Lifetime lease: As a retirement living option, rentals could well hit your pockets. This doesn't entail a high capital cost or an upfront deposit, as you have to pay monthly rentals alone. To get a flat in Paranjape's 'Athashri' senior living complex, you would have to spend Rs 30,000-35,000 a month, excluding food and other costs. A small deposit amount is also charged while handing a unit to a customer, though this is much lower than what you would pay in the previous scheme. 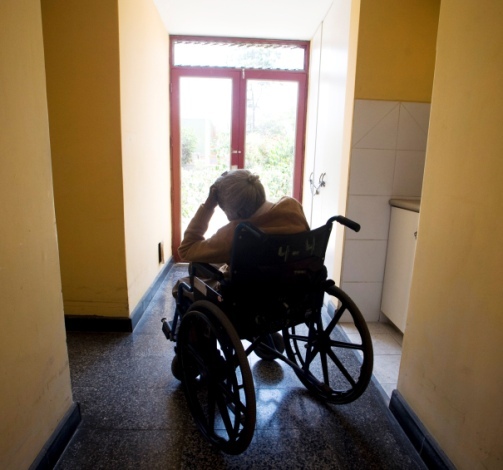 Image: An elderly women rests on her wheel chair. Pros: This would benefit those staying in an assisted living project that is considerably far from a city, as rents for such flats would be comparatively low and affordable, unlike apartments in projects well-connected to a city. The benefit of such an arrangement is property tax doesn't have to be paid by a unit holder, says Sridhar. Cons: While the rental option may appear cheaper, there's no permanency. 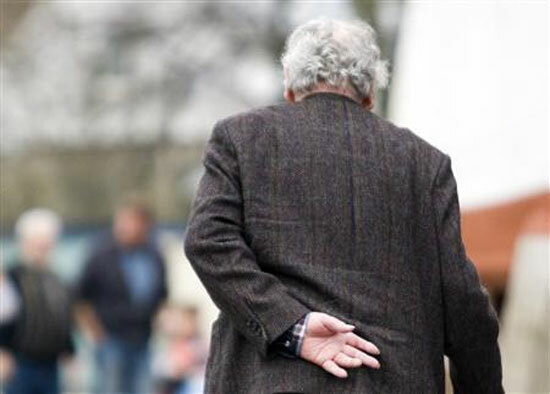 Shifting on a regular basis may hit stability in post-retirement life. Also, as the area in which the project is located develops, there would be a fear of a rise in rents. This is not a popular scheme among senior citizens, as one has to pay a monthly rent, as well as maintenance and other charges on actuals. Sadagopan of Ladder7 says, "Planning for a retirement home is no different from the usual financial planning. "A person's income, the corpus he is expected to get on retirement and the savings pool he would be left with after buying the house are the factors to consider before a decision on home-buying at that age." Shashank Paranjape, director (construction), Paranjape Schemes, says, "Initially, when we launched this concept, it was a challenge convincing customers, despite the demand. However, today, we have 1,500 senior citizens living in our Pune project. "We have similar projects coming up in Coimbatore, Ahmedabad and Bengaluru." Can children use these flats after their parents pass away? "We cannot stop children from using their parents' house. However, we insist at least one family member should be aged 55 or more. 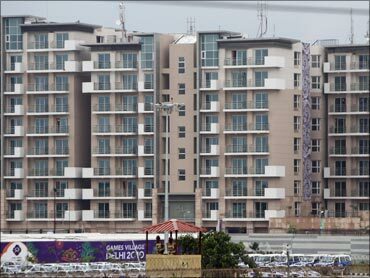 They can also rent these houses to senior citizens, as the rents for these flats are 10-20 per cent more than those for normal residential flats. 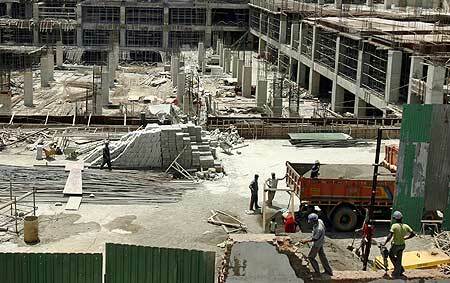 "As of now, a senior living project in Pune can fetch you a rent of Rs 25,000-30,000 a month," Paranjape says. 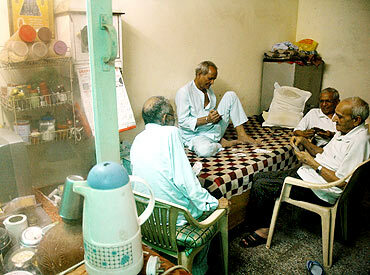 Image: Seniors at Gharaunda, a charitable old age home on the outskirts of Delhi, play cards.